Laura's Miscellaneous Musings: Happy Independence Day! 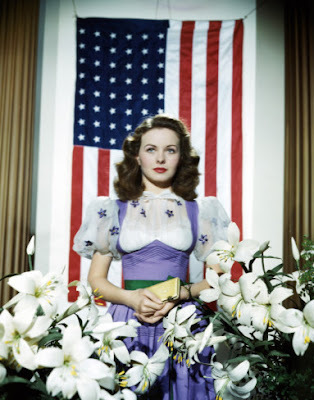 Here's lovely Jeanne Crain in a patriotic pose to celebrate the holiday. May God continue to bless and protect our nation. Happy Independence Day! Previous Independence Day photos: 2012 (Susan Hayward), 2013 (Susan Hayward and Virginia Dale), 2014 (Vera-Ellen and Cyd Charisse), and 2015 (Ava Gardner).